Harper/Machado to the NL West? 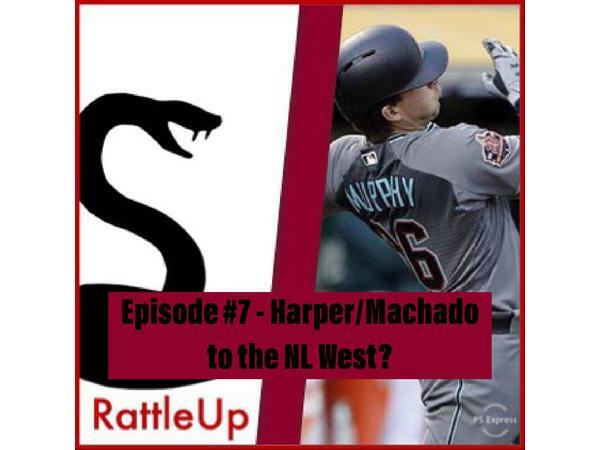 On this week’s episode of RattleUp, we will address some of moves the dbacks have made, including signing of veteran catcher Caleb Joseph and how that will affec the catching carousel. We'll predict stats for all the catchers and first baseman on the roster and how they'll perfrom in 2019, and finally break down the news and rumors surrounding Bryce Harper and Manny Machado, and set their chances of joining a team in the NL West.